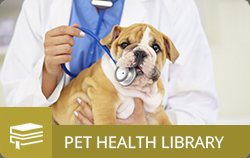 Regular comprehensive physical examinations and consultations give us the opportunity to talk with you about your pet, recommend preventive care and parasite prevention, identify health concerns early, and discuss treatment options. The best health care is built on knowledge and trust. Functional healthcare for the life of your pet. Our approach focuses on overall wellness and proper balance for a healthy life, not simply disease management. The holistic modalities offered include acupuncture, chiropractic, classic homeopathy, herbal medicine, and nutritional counseling. Welcome to Doylestown Veterinary Hospital & Holistic Pet Care, dedicated to the health of your pet since 1972. 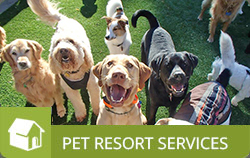 Our goal is to get to know your pets as members of your family, and develop a lasting relationship with you, our client. The best health care is delivered when there is a bond between the patient, the doctor, and the client that is built on knowledge and trust. Browse the pages of our online home, and then visit our hospital. 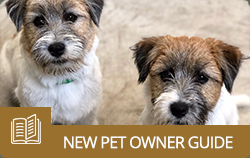 We look forward to getting to know you and your pets. 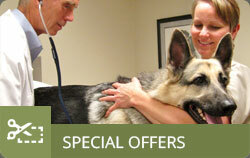 Receive 50% off your Initial Exam & Consultation fee for your first appointment at Doylestown Veterinary Hospital.